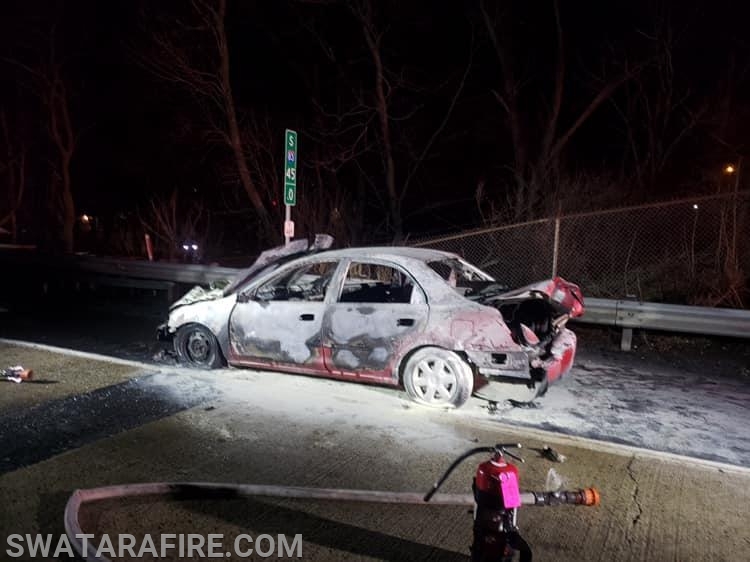 Late this evening, Engine 91 was sent to the Capital Beltway for a reported Vehicle Fire. E91 (FF Furlong) arrived and confirmed a fully involved vehicle and stretched the bumper line. Rescue & Engine 91-5 also assisted due to a large fuel fed fire. During the incident, an MVA w/ Confinement occurred in the backlog. Mutual Aid units along with Utility 91-5 handled the crash.